Who is the better singer, van Morrison atau David Bowie? Which age do anda think David Bowie was the most sexxxxxy at? pilihan peminat: He'll always be sexxxxy no matter what! How did anda discover David Bowie? Which one do anda think is the saddest bowie song? pilihan peminat: No but I'd like to. How much bowie merch do anda own? Heyyyyy, s'up I thought I'd do a Fanpop review for David Bowie's new Muzik video and single Blackstar. I personally am a huge Bowie fan, I've loved David Bowie since I was thirteen and I always will. However I will be truthful, when I first saw the teaser trailer for Blackstar, I was a bit anxious. 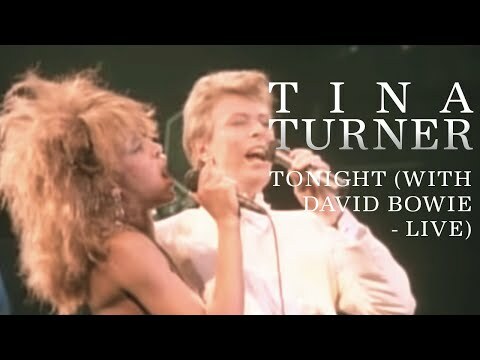 I thought it would be very creepy, impossible to Cinta the song and I thought it would ruin Bowie for me forever........NEVER HAVE I BEEN SO WRONG! I feel so horrible for even thinking that. It was the best thing I have ever seen. Ten minit was not enough. 2. You've edited a picture of David Bowie and Iman sejak cutting out Iman and putting yourself in her place. 3. anda can't stand Angie. I walked into the cemetery with a bouquet of flowers. I remembered the details as if it were a few days lalu even though it had been a year. 1. anda have a Bowie song set as your iphone ringtone. 2. anda have him as your lock screen and utama screen. 3. anda go to Google, click imej and type "Bowieporn" in the cari box. 4. anda imagine "the one" in your head constantly and he looks like an exact replica of David Bowie. 5. anda really hate Morrissey and/or Elton John. 7. Almost all the songs anda know how to play on the gitar are Bowie songs. My hati, tengah-tengah fluttering fast, my insides all warm. My cheeks all flushed like a tawon, wasp swarm. His Singing felt like it was seterusnya to me I turn around and almost gasp at what I see. 2. Your peers have made fun of anda atau alienated anda because you're obsessed with a rockstar that's old enough to be your father/grandfather. 3. anda have 6-10 atau lebih bowie albums. 5. Most of the songs anda know how to play on the gitar are sejak david bowie. David Bowie: Thanks for the memories, Cinta and support. They are immortal just like you. The stars will be very different with anda among them. I still feel your presence and love. And I will always Cinta anda and think of you. a poll telah ditambah: Who is the better singer, van Morrison atau David Bowie? Which song is the lyric "inspirations have I none just to touch the flaming dove" from?